The recent fracas in our capital, between students of a secondary school and our police force, calls for a complete retrospect by the police leadership on a range of issues, including recruitment and public relations. In responding to a serious issue such as this, we can only suggest that a review is done, if the force is to be seen working in tandem with the drive of the Government and especially that of president Dr. Ernest Bai Koroma for a prosperous and better country. This Government’s legacy should not be soiled by a certain few. I strongly hold the view that the force has been doing its best in the last couple of years, since the change of leadership from a British to a Sierra Leonean. But there have been challenging moments that needed serious thinking. 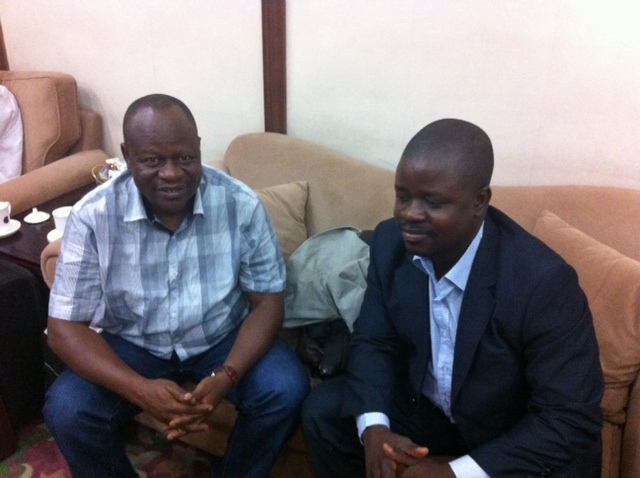 I have been a defender of the force – both within and out of Sierra Leone. I have done a series of interviews with top officials of the force. I think I also owe a duty to ask them to rethink seriously about a few issues. I condemn violence in any form. I was a student for several years. I took part in student demonstrations, like the one in 2005 or so at FBC, when we climbed down town in protest at some issues. I know what it means when students are angry. The world over, there are moments when a country’s law enforcing agency could be forced to make use of live weapons. But where maximum force is used, thus leading to the death of a citizen, there is the moral and professional responsibility on the part of the police to state why such force was used. In public relations, one should talk only when and where necessary. Talk not, because the microphone is before you. The media have their way of going for the news and as a PR expert, you should know when, where and what to say. The PR wing of the Sierra Leone Police may have been doing some good job. But in defending the recent incident, it may have missed some basics. 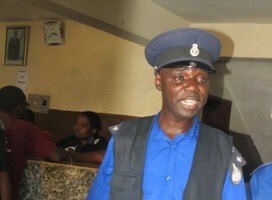 I listened to ASP Samura (Photo) of the police media wing on Star Radio. Yes, I listened to him. The need for a review cannot be overemphasized. The need for a senior management level person to begin doing the talking on serious issues like this is timely, if not urgent. On the 14th of November, I listened to Ibrahim Tommy of the Centre for Accountability and Rule of Law (CARL) and Madam Memuna Conteh, Local Unit Commander of Eastern Police, on Star Radio. From the lady, I heard sincerity of purpose. And I was impressed when she said, seeing the corpse of the student, she grieved and reacted like any parent. She was bold in condemning the killing, accepting the credibility of the autopsy report. She promised that the police leadership will bring to book whosoever is responsible. A woman of courage! This is a challenging moment for the force, I think. Tommy was fair in also condemning the killing, and at the same time making recommendations. And the need for a review of the force’s PR was mentioned in Tommy’s recommendation. The issue of recruitment is very pertinent here. Whilst it is good we have a lot of young people in the force, as it helps in addressing the challenge of unemployment, it is worrying also to have people with questionable backgrounds entering the police force. Checking the backgrounds of people applying to join the force must be an essential requirement. But here, we also expect society to play a leading role by helping in identifying criminal elements wanting to get into the force. In doing so, we are helping to address a key societal challenge. The Operational Support Department of the force should be reviewed. Ibrahim Tommy called for background checks, before weapons are issued to the officers. I cannot agree more. 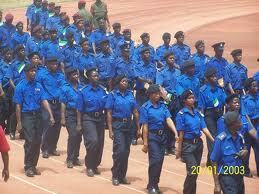 The Inspector-General of Police – Francis Allieu Munu must rise to the challenge. (Photo: IG Munu being interviewed by Pa Baimba Sesay). The Government is well placed, and is currently determined to improve the lives of the people. It is working hard in reshaping the image of our country. Security is therefore paramount. The President cannot do it alone. When you have a selected few bad eggs in the force, they should be fished out so that the president’s drive for a better country cannot be taken backwards. If we play our roles in our different work places diligently, then we are sure of not spoiling the gains we have made and in the same vein, protect the legacies of President Koroma. That young lad killed could have been my youngest brother, who is almost of the same age as the late boy. My sympathy goes to the bereaved family and may the soul of the late boy rest in peace. The shooting must be investigated and firm action taken by the stakeholders.